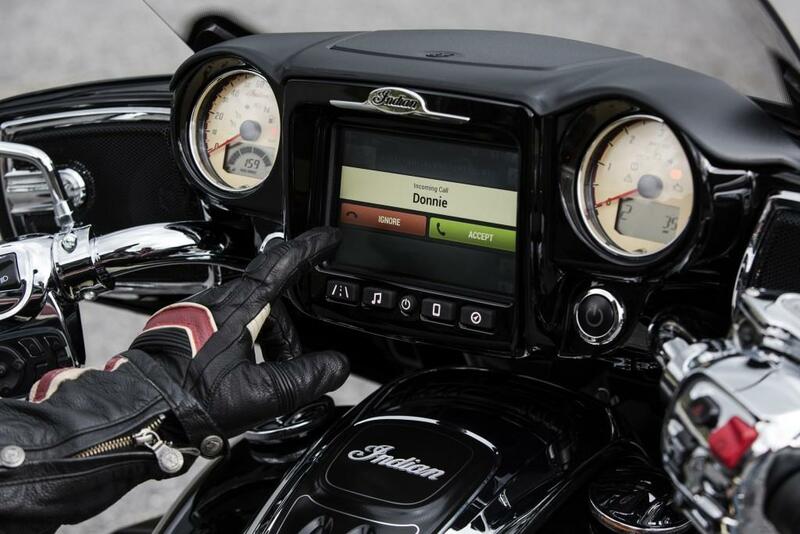 Now we already know Indian are introducing a touchscreen and infotainment system on their two-wheeled machines. But we now have some more information around the 2017 rider information screens, called Ride Command and will come as standard on Roadmaster and Chieftain models. 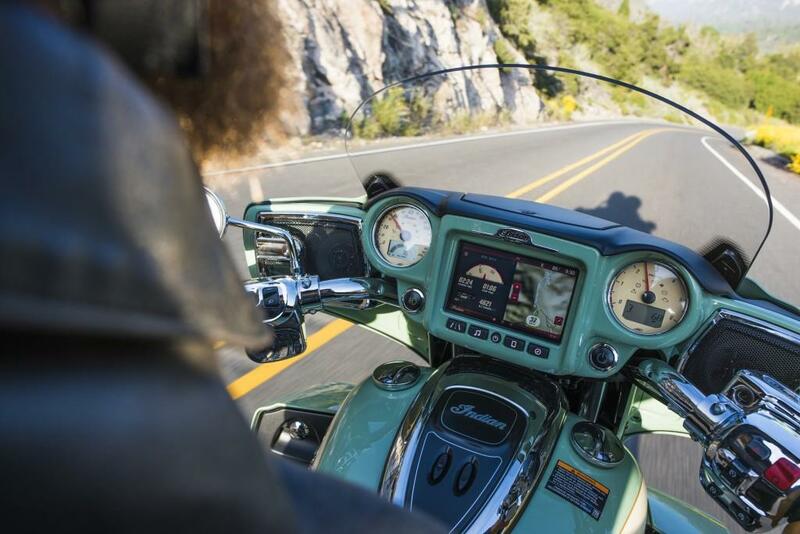 Indian's marketing director, Reid Wilson says the system is going to transform the way in which Roadmaster and Chieftain owners can navigate and entertain themselves. “We’ve put considerable time and effort in to developing this touchscreen system and we know that riders are going to seriously impressed by the way they can customise screens with the information that’s important to them,” Reid said. 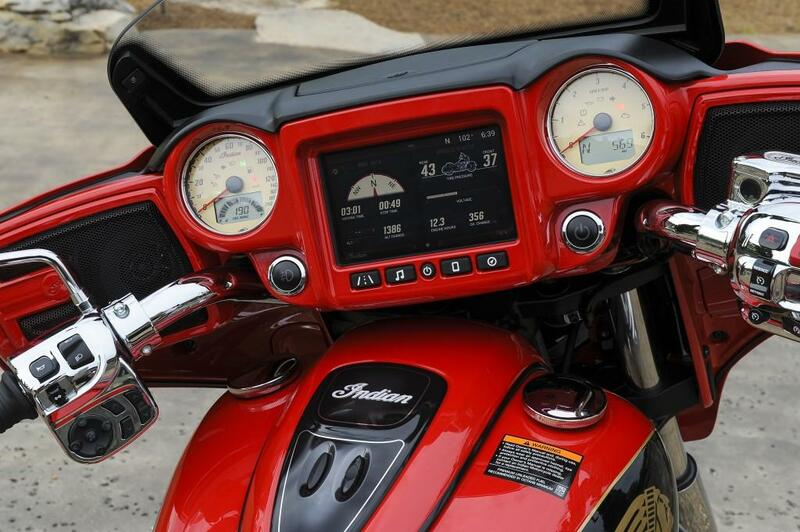 Using a 7in screen Indian's system will become the largest display yet fitted to a bike. It also claims to have the highest resolution (800 x 480 pixels), the brightest screen (twice as bright as some of the brightest smart phones on the market) and the fastest response time (ready in 10 seconds after switching on). You can also connect almost any mobile device to the system and use controls on the handlebars to make easy actions, such as picking up calls and turning up, or down, the volume to your favourite tunes on the radio.